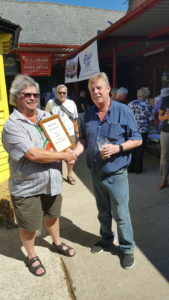 A happy landlord Aubrey Johnson, Blue Bell Belmesthorpe, right, getting his POTS award at our beer festival in June from Dave Laughton , Our Pubs Officer. Scoring is achieved via the CAMRA website, Whatpub. You will need to login using your membership number as your username and your postcode as the password. It is my experience that most first timers fail for the reason of the password. Two things may happen. When you key in your postcode, in capitals and with no spaces, you gain immediate access; this happens rarely. More frequently you will be told the password is incorrect, under these circumstances, follow the forgotten password link. Strangely, if you try to change your password to your post code you will be told that the password is too short! Once in, the rest is fairly logical, in the box; key-in the name of the pub you are looking for and if necessary the town or village of its location. 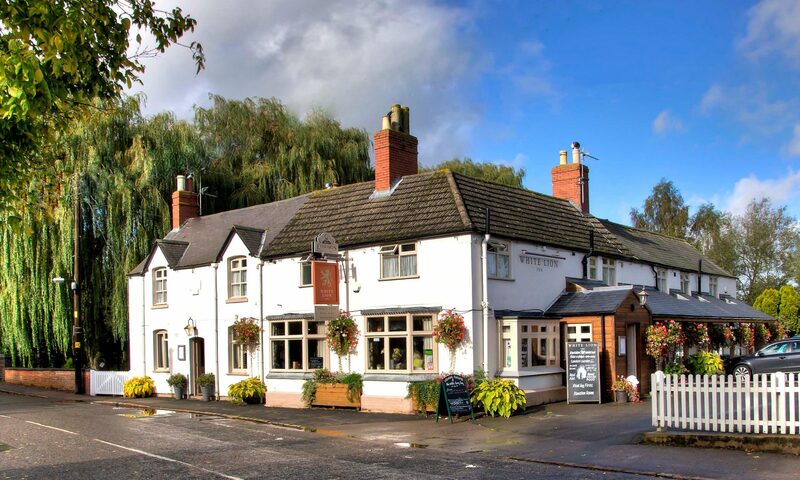 The system will give prompts and as an example, for the Fox in North Luffenham you only need to type: ‘fox n’ and the pub and location will appear on the list for you to select. You will then see details about the pub and if you are using a computer you will see a box called Submit Beer Scores on the right hand side. Fill in as you see fit but note the scores are on a drop down menu and include a guidance note. Then click Submit Score.